Mustafa Kemal Ataturk – (born 1881) Turkish army officer, statesman and the Founder and first President of the Republic of Turkey. 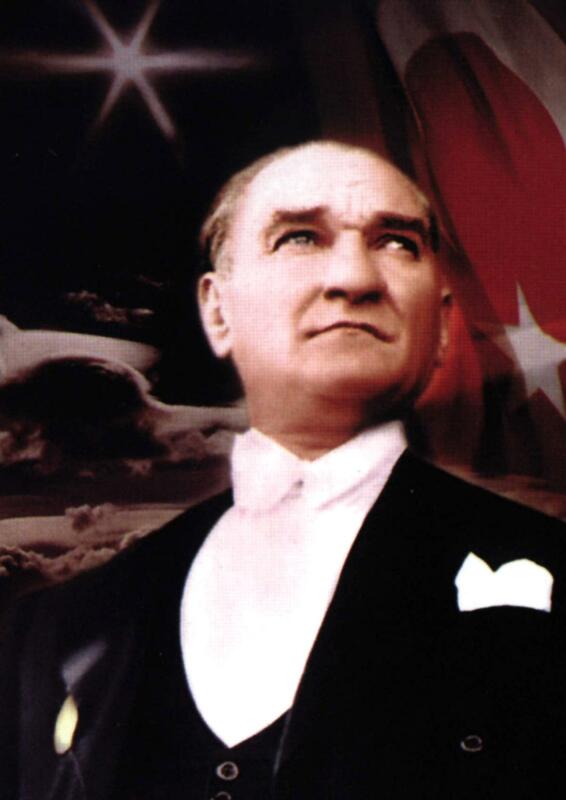 He led to the liberation of the country and the establishment of the Republic of Turkey. Ahmet Necdet Sezer – (born September 13, 1941) Tenth President of the Republic of Turkey. 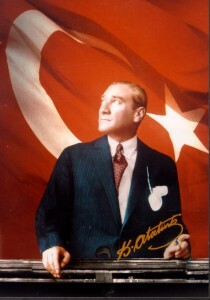 The Grand National Assembly of Turkey elected Sezer in 2000 after Süleyman Demirel’s seven-year term expired. Azra Akin – (born December 12, 1981) Turkish model who was crowned Miss World 2002 at the annual pageant, held that year in London, England. Barbarossa – The ferocious and feared “pirate” who became admiral of the Ottoman fleet in 1534. Ahmet Ertegun – (1923-2006) Legendary founder of Atlantic Records. When Turkish Ambassador Munir Ertegun and his family moved to Washington, DC in 1936, his two sons, Ahmet and Nesuhi, already had a collection of 25,000 blues and jazz records. With a $10,000 loan from his Turkish dentist, Ahmet launched Atlantic Records and, in doing so, changed the music industry forever, introducing the world to such names as Ray Charles, Aretha Franklin, Wilson Picket, the Rolling Stones, and many others. Halil Mutlu – (born July 13, 1973) Olympic gold medalist in weightlifting, having won three Olympic championships, five World Championships and nine European Championships, who also broke more than 20 world records. Hidayet (Hedo) Turkoglu – (born March 19, 1979) NBA Orlando Magic small forward, and the first Turkish NBA basketball player. Selected 16th pick by the Sacramento Kings in the first round of the 2000 NBA Draft. Mehmet II (The Conqueror) – (born March 30, 1432) The 15th century Ottoman sultan who safeguarded freedom of worship and successfully captured Istanbul in 1453 as his Empire’s new capital city. Mehmet Okur – (born May 26, 1979) Star center basketball player for the NBA Utah Jazz, formerly with the NBA championship Detroit Pistons. 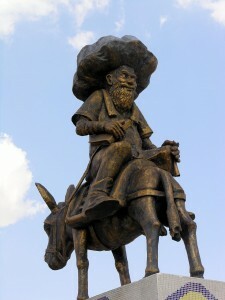 Nasreddin Hoca – Famous 13th century folk philosopher and humorist whose memorialized as a legend. His anecdotes are quoted throughout Turkey among all classes and levels of Turkish people. Tunch Ilkin – (born September 23, 1957) Former offensive tackle for the Pittsburgh Steelers (1980 – 1992) and Green Bay Packers (1993), earning two Pro Bowl appearances. Yunus Emre – (born approximately 1238) The 13th century philosopher poet and one of Turkey’s national treasures, who promoted basic themes of love, friendship, brotherhood and divine justice.